A directional tread pattern is used on the Activan Winter, for better traction and greater driving accuracy. Enhanced road holding is evident on snow covered and icy roads. Progressive sipe directionality is included for excellent bite even during cornering on snowy, icy or wet roads. Wide grooves also help to disperse water and slush. The Activan Winter offers unrivalled reliability and resistance. 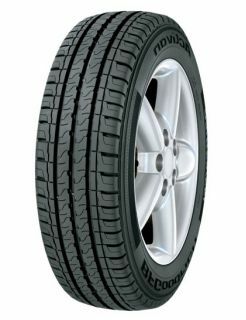 Dual ply casing structure used on the sidewalls, increase the durability of the tyre and overall tyre life. A 4mm under tread is included in the structure to protect against damage. Large tread blocks and shoulders optimise the tyre to road contact.